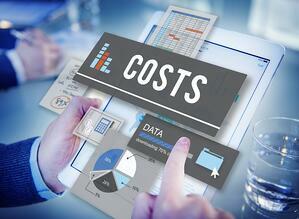 Here are just four of the advantages of ASCs performing case costing. How can you confidently say whether a procedure is profitable or not? Use case costing. Once you determine your expenses associated with a case, you can compare the cost to the reimbursement for that case. Hopefully reimbursement will be higher than the cost. For reimbursement from government payers (i.e., Medicare and Medicaid), your profit margin may be minimal, or you may even lose money on some procedures. If that's the situation, you need to be confident that your commercial contracts are profitable so your overall financial health is in the black. 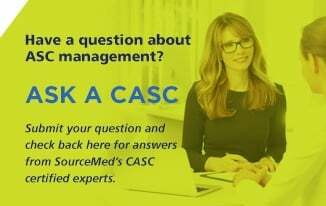 If case costing reveals that Medicare and/or Medicaid patients represent too great of a percentage of your ASC's volume, you can work to add more commercial cases. Without case costing, identifying the need for taking such actions and making informed decisions will prove much more difficult. Once you performed case costing and have assessed the profit margins on your managed care contracts, you may find that some of your contracted case rates don't adequately cover their case costs. A good rule of thumb is that there should be no commercial contracts signed that invite business to your ASC which do not always at least cover your costs and presumably provide some profit. If any of your contracted case rates cause you to lose money, break even, or only earn a small profit on a case, initiate contract renegotiations with your commercial payers. 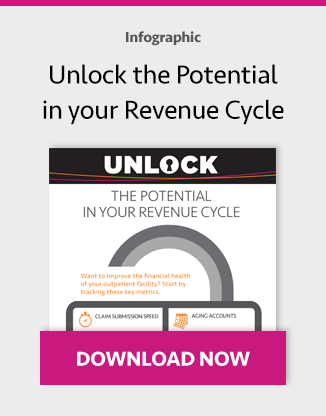 The data on your costs and ability to explain how the rates negotiated are making it difficult, if not impossible, for you to keep bringing some cases to your ASC should grab a payer's attention. After all, the payer likely wants those cases to continue going to your ASC rather than a hospital, which typically receives higher reimbursement. Note: Make sure to regularly compare your costs to contracted rates. Case expenses generally only go up. Your reimbursement rates should as well. There's a saying often referenced when discussing budgeting: "Failing to plan is planning to fail." An ASC must determine its expenses before it can understand how much revenue it needs to collect to cover those expenses and ultimately make a profit. It's difficult — one could argue nearly impossible — for an ASC to put together an effective budget if it can't project the types of cases it is likely to perform, the people needed to support those cases, and the supplies needed to deliver safe, high-quality care. Without taking the time to determine this information, ASCs will have trouble being successful and serving their patients in the long term. Case costing performed before an ASC opens and annually thereafter will help fill in many of the details needed to develop an accurate budget. Let's say you have three physicians performing the same type of procedure requiring the same type of implant. And let's say two physicians use an implant that costs half as much as the implant used by the third physician. Assuming there's consistent high quality and positive outcomes for all three physicians, and their time to perform the procedure is similar, you can bring case costing data to this third physician to show how his or her surgery is much less profitable due to the implant. Generally speaking, physicians tend to respond to and accept data more so than anecdotes. Presenting these figures may be what's necessary to convince the third physician to at least consider changing implant vendors, if not outright making a switch, and that saves your ASC money and drives up the case's profitability. On September 6, from 2:05-3:05 PM, I will be presenting the financial breakout session "ASC Case Costing: Fundamentals and Best Practices" at the 2018 California Ambulatory Surgery Association (CASA) Annual Conference & Exhibits. My session will cover additional advantages to case costing and elaborate on the usefulness of case costing; explain how to leverage case costing data; review how using software can help manage supply inventory; discuss how ASCs can secure the best pricing for supplies; and address how to price supplies for patient and insurance billing purposes. This meeting should be a terrific event. I look forward to seeing you in Huntington Beach!